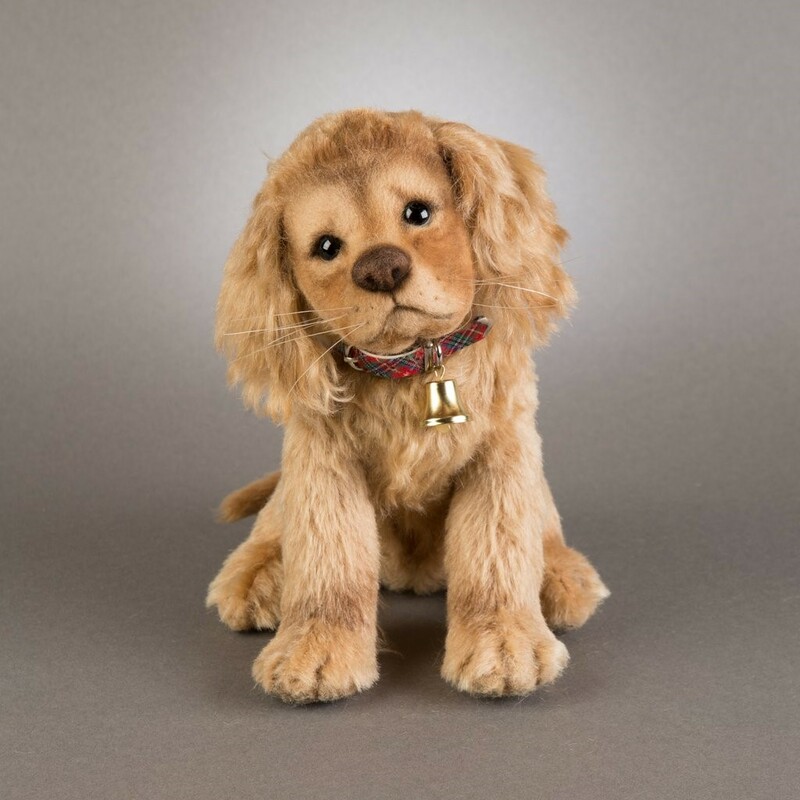 Say hello to “Taffy” – the first issue in the exciting new “Christmas Puppies” series. Constructed of the finest Schulte mohair plush with felt details. 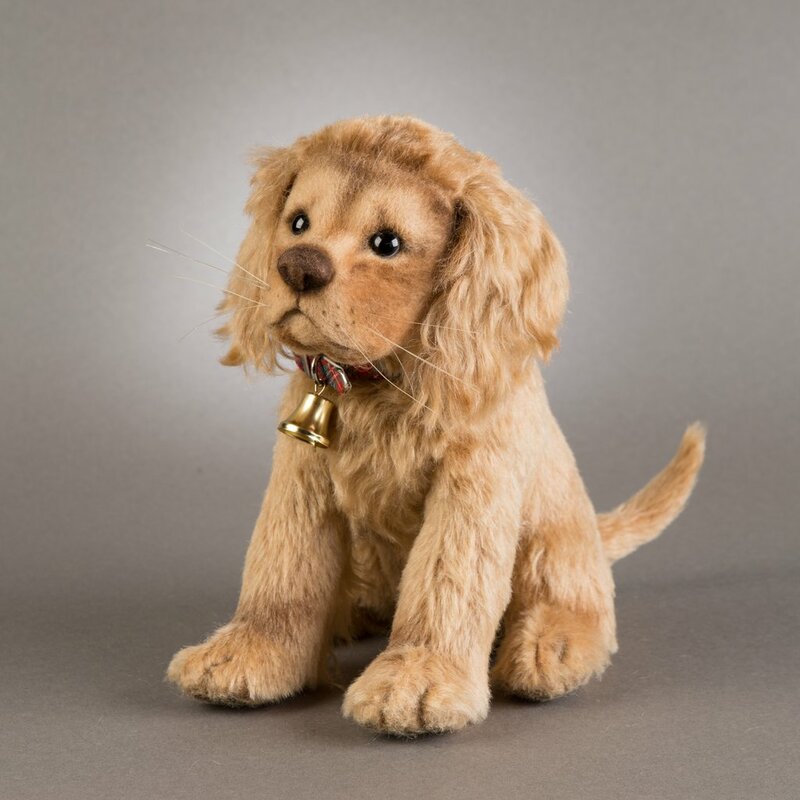 Taffy measures approximately 9″ tall seated. This darling little Cocker Spaniel pup features a ball and socket neck joint for expressive posing. The beautiful sculptural face includes black and white German glass eyes, a molded felt nose and inserted whiskers. 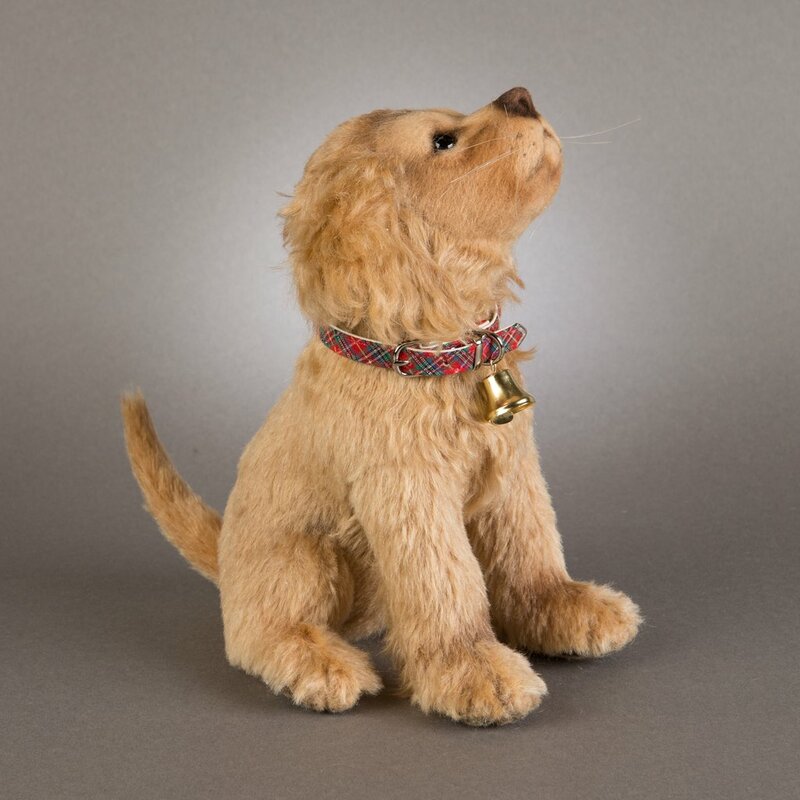 Around Taffy’s neck is a custom-made collar made of red tartan plaid embellished with a merry brass bell.